Wooden Sled with Back Support - Polskie Sanki Drewniane z Oparciem. 36" x 16" x 16". Made in Poland. Embrace yourself in all of the fun that a wonderful winter snow has to offer with this beautifully crafted Wooden Sled with Back Support. This fun device offers both stability and support so you can glide through the luscious snow all day long without a care! The gorgeous wood construction is visually attractive and extremely sturdy for hours of fun and making memories with those you love. Imagine your children gracefully gliding down the neighborhood hill with a huge smile across their face while having the time of their lives. 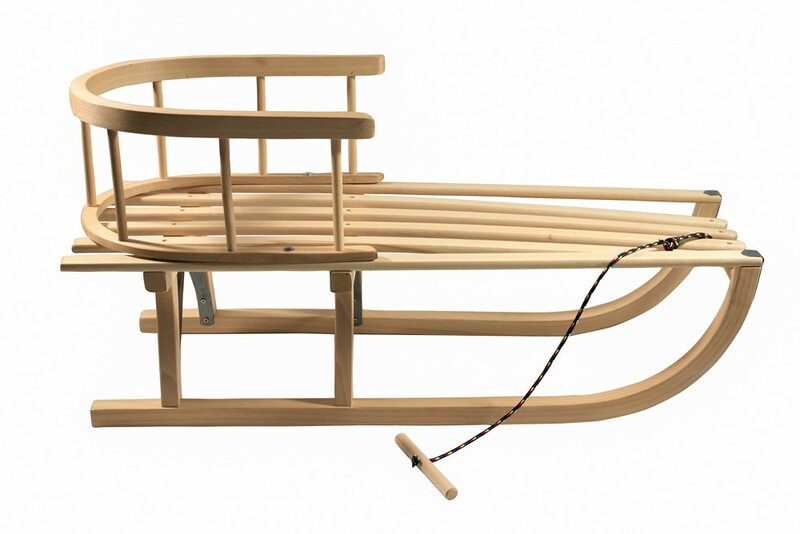 Blast through the snow and into some fun with this originally designed wooden sled crafted in Poland just for you. Buy this sled here on our website! Description: A knowledge base for Polish pottery collectors, students and lovers of all kinds of Polish pottery. Description: Buy Polish food and prepackaged Polish cuisine. Description: A directory of websites. Description: Christmas Stockings and Christmas Ornaments personalized by Stocking Factory.